These baked green beans are more crispy, not like the softer ones often found in cans. 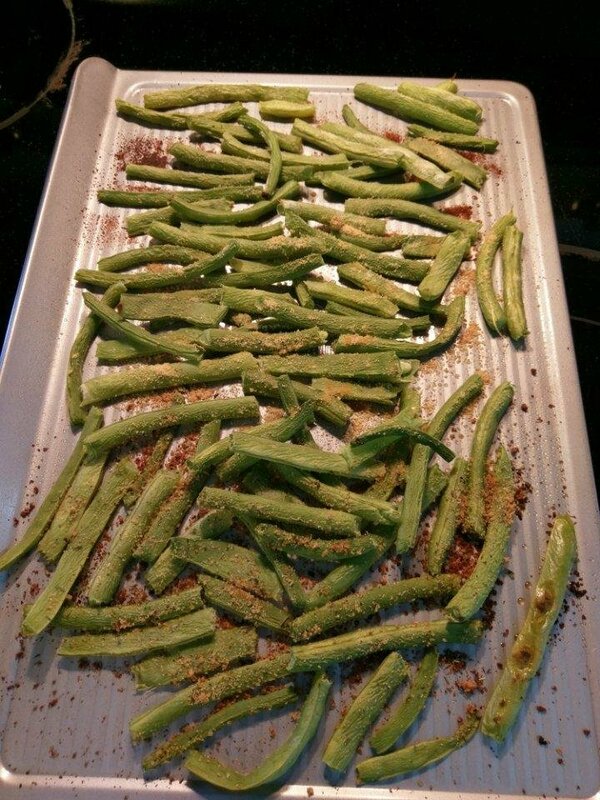 Preheat oven to 375 degrees F. Arrange green beans on a Pam-sprayed cookie sheet. Sprinkle your favorite seasonings on top. This photo shows Garlic Lover’s, Cheese (it has a slight nutty flavor), and Ranch. Bake for 15 – 20 minutes, until they get to your desired crispness.